China's stock market, which started from scratch in the 1990s, is now undergoing a period of transition and transformation, with many basic institutional arrangements still missing. Here are some thoughts about defining the basic institutional arrangements. First, the delisting system and the registration-based stock listing system. The mainland A-share market, where about 3,000 to 4,000 companies are currently listed, has only seen a limited number of companies delisting by the end of 2018. In the global equity market, however, the number of newly-listed companies is generally equivalent to the number of companies delisting each year. Under the system of "survival of the fittest" in the capital markets, companies that are unqualified, record bad performance or violate regulations are removed from the stock markets, and only those high-quality, good performing and well managed stocks can remain. Therefore, a sound delisting system would prompt listed companies to pay more attention to their own quality, results and openness of disclosures. Second, there are 140 million individual stock investors in China, accounting for more than 80 percent of the total A-share transactions annually. Therefore, the Chinese equity market has always been criticized for being a retail market and lacking medium- and long-term institutional funds. Interestingly, in major global stock markets, 80 percent of transactions are reserved for institutional investors and 20 percent for retail investors. Among various medium- and long-term investments, what the A-share market lacks most is annuity investments, one of the three pillars of the social pension insurance. In the US, corporate annuities account for majority of the US pension system. Third, China's fund management industry has a history of more than 10 years, but it still needs further improvement. In markets like the UK, for example, some fund management companies have been in business for more than 200 years. At present, there are about 100 public funds controlling 13 trillion yuan and more private funds managing more capital. Out of the 13 trillion yuan ($1.92 trillion) of public funds, only less than 2 trillion yuan is invested in the stock market, which is far from enough to support the market. More than half of the private funds are classified as equity investment, but that also includes unlisted companies, while other funds are invested in real estate and even P2P. It shows that China's funds are not very strong and of sufficient size to positively support the market. Without strong private funds, the capital markets cannot achieve a healthy development. Funds can not only be the equity investment's driver to cultivate new companies in the primary market, but can also be the key driver behind mergers and acquisitions in the secondary market. Fourth, the Shanghai Stock Exchange will launch a new science and technology innovation board, which will experiment with a registration-based stock listing system. The China Securities Regulatory Commission has been working hard on this proposal, and it is believed that it will roll out implementation details later in 2019. One of the shortcomings in China's stock market is that it hasn't cultivated too many high-tech innovative companies over the last two decades. 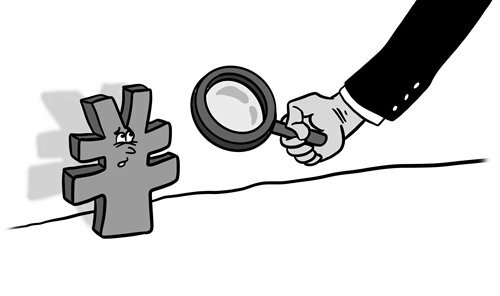 Due to the weak resource optimization and allocation capability, some successful high-tech companies were listed in overseas markets such as New York or Hong Kong, rather than listing on the domestic exchanges. Without enough management and business experience as well as earning operating profits, newly-established technology companies are in need of such a science and technology innovation board. The combination of a registration-based listing system and effective delisting system will help ensure the quality of companies on this board. Fifth, after a scandal about misappropriation of clients' deposits was exposed at a securities company in the 1990s, regulations were tightened to stipulate that clients' funds must be kept at banks under a third-party custody system. This is a normal practice in most markets around the world with client monies always held in segregated accounts. However, with the improvement of the regulatory management and improved legal system, it is now difficult for securities companies to misappropriate clients' deposits. Therefore, it is advised to abolish the custody system. An important function of securities companies in the capital markets is to offer brokerage services for various investors - providing leverage, which means securities companies can give financing to investors with borrowed money. Currently, Chinese securities companies don't have any such capital brokerage function using leverage, which can be piloted and experimented, for example, at the top 10 brokers. Once such a system is formed, it will drive up the mainland stock market in the long run.